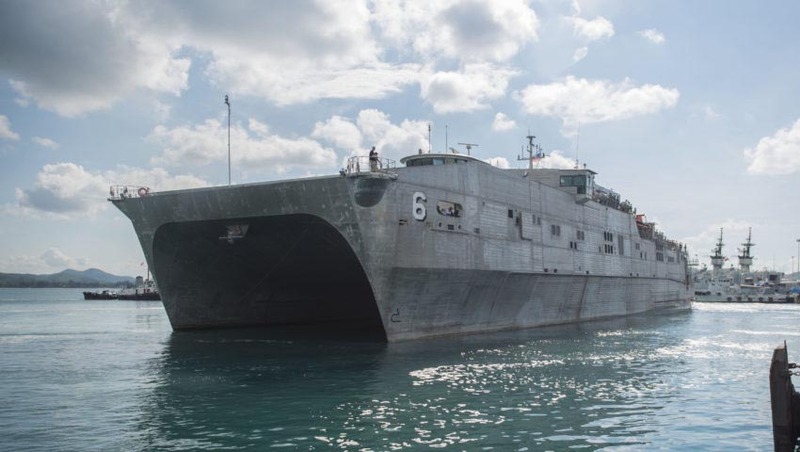 Australia-based Austal’s US subsidiary, Austal USA, has been awarded a new $369 million contract for the acquisition of two additional Expeditionary Fast Transport ships for the US Navy. The contract award extends the Expeditionary Fast Transport (EPF) program to 2022, with construction of EPF 13 to commence in late 2019 and EPF 14 to follow in the middle of 2020. The contract follows the award for long-lead time materials on EPF 13 and EPF 14 that was announced in December 2018. The 14-ship EPF program has to date been worth over US$2 billion and underscores the ability of Austal USA to build highly capable ships at an affordable cost. Austal chief executive David Singleton welcomed the announcement, saying, "The extension of this program to 14 vessels is a result of the versatility of the EPF platform to perform an increasing range of roles for the US Navy, combined with the confidence our customer has in it. We continue to believe that the EPF vessel, in various configurations, has a long future ahead of it." The EPF’s large, open-mission deck and large habitable spaces provide the opportunity to conduct a wide range of missions, including engagement and humanitarian assistance to disaster relief, maritime security support operations, intelligence, surveillance and reconnaissance across the world. "We have a proven ability to build these cost effective vessels efficiently at our state-of-the-art manufacturing facility in Mobile, Alabama and, as a result, they will continue to underpin the shipyard for several years to come," Singleton added. "We are pleased to add these new vessels to what is already a record order book, which includes the contract Austal recently received for two additional Independence Class Littoral Combat Ships (LCS)," Singleton said. This expanded contract builds on the long-term success Austal has enjoyed with its US-based operations, which has emerged as one of the major driving forces behind the company's continued success, with Singleton telling Defence Connect earlier this year, "We have put a lot of effort into achieving these results. We have seen our US operations and shipyards going from strength to strength in partnership with the US Navy." The company is perhaps best known for its high capability, advanced naval vessels, most notably the Independence Class LCS for the US Navy, military high speed support vessels for transport and humanitarian relief, such as the EPF for the US Navy, and the High Speed Support Vessel (HSSV) for the Royal Navy of Oman. Austal also designs, constructs, integrates and maintains an extensive range of patrol boats for government law enforcement and border protection agencies globally, including the Cape Class Patrol Boat for the Australian Border Force and Royal Australian Navy, and the new Guardian Class Patrol Boat for the Commonwealth of Australia. Austal is an Australia-based shipbuilder and global defence prime contractor that designs constructs and sustains some of the world’s most advanced commercial and defence vessels. Austal has designed, constructed and delivered more than 300 commercial and defence vessels for more than 100 operators in 54 countries worldwide.